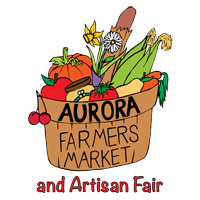 The Aurora Farmers’ Market and Artisan Fair continues to be treated to beautiful summer weather as we march toward fall. This has translated to busy, bustling days at the Market with people in great moods. There are so many reasons to include a visit to the Market on Saturday mornings, not the least of which is that Thanksgiving is just around the corner. There’s a lot to tell you about today so I’ll launch right into an introduction of our next new vendor, Lisa Weagle, of Whiskey Jack Flowers. 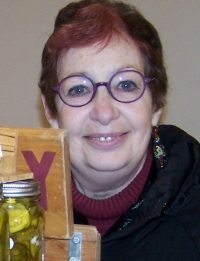 This is not only her first year at the Market, but is her first year in business. Whiskey Jack Flowers is a small, independent flower studio that curates one-of-a-kind, seasonal arrangements using 100% locally grown flowers. They offer an array of plants, including cacti and succulents. Each week they have new floral offerings. Starting this venture is a dream realized for owner and designer, Lisa. Using locally grown flowers is important to her as it reduces our environmental footprint . It also allows her to build relationships with others in the community and learn their unique story in the process. Lisa was born in Montreal but grew up in Aurora, attending both elementary and high school here in town. She did her post-secondary education in Fashion at both Humber College and Ryerson University in Toronto. After living and working in Toronto for many years, Lisa has settled back in Aurora. Since childhood, Lisa has always enjoyed expressing her creativity with her hands, including painting and pottery. A few years ago, Lisa began to experiment with flowers as the medium for her creativity and discovered a new passion. Whiskey Jack Flowers curates a more organic, “from the garden” style of arrangement using only the freshest blooms. Each arrangement is handcrafted and unique. There is no store front—Lisa creates her beautiful floral designs in a small private studio that is as unique as she is. The studio backs onto a beautiful green space that is home to trees, birds and even some resident chickens. Lisa plans to keep working hard and getting better each day, to think outside the box and to continue to look for creative ways to express herself. Her goal is to keep things fresh and new. She wants people to know that regardless of the day they visit her booth, they will discover something beautiful, colourful, unique and different, as well as local. If you are interested in florals for a special occasion, you can contact Lisa at hello@whiskeyjackflowers.com or visit her at the Aurora Farmers’ Market. Our next Special Event is on Saturday, September 29 when the Market celebrates Culture Days with a Soup Fest. Five Market chefs will prepare soups using fresh ingredients from the Market for sampling to the public. Recipes will be available either at the Market or online. The tasting will begin at 9:30 am and there will be a new chef at 30 minute intervals with the last chef starting at 11:30am. In addition, we are thrilled to announce that the wonderful musician, Glenn Marais, will be playing for us that day and will include some “djemba” drumming in keeping with the theme ,”ON BEAT”, of Culture Days. As if that weren’t enough, we are delighted to partner with New Roads Mazda to present our first annual “ Stuff a Truck” Challenge. This Thanksgiving food drive aims to collect lots of food donations for the Aurora Food Pantry, so please come to the Market on September 29 with non-perishable food donations and tell your friends and neighbours to do the same. It promises to be a memorable day.